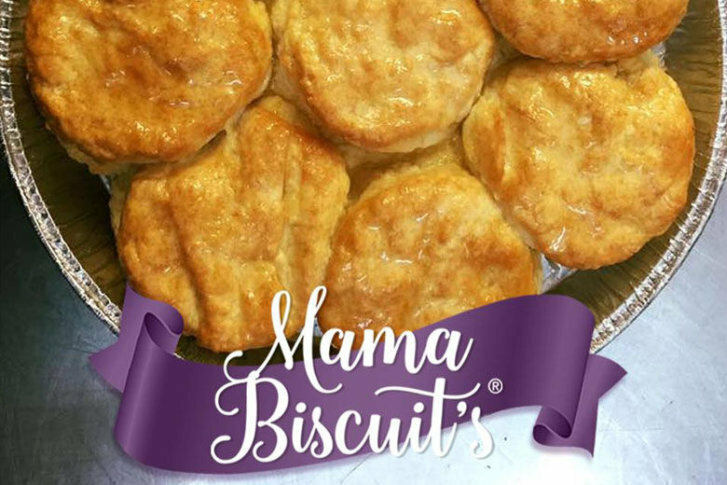 Mama Biscuits will start showing up on store shelves in more than 50 Walmarts across nine states. The flavors for sale are Cinnamon Vanilla Cream and Blueberry Lemon Cream. The Frederick, Maryland-based business has 15 full-time employees. WASHINGTON — Frederick, Maryland-based gourmet biscuit baker Mama Biscuits will start showing up in more than 50 Walmart stores Oct. 8. Owner Leslie Riley entered Walmart’s “open-call” event last year, held every summer for the retailer to find products from small businesses and entrepreneurs to carry in its stores. She was among several companies chosen from more than 500 entries. Her biscuits will initially be sold in 55 Walmart stores in nine states, including Alabama, Arkansas, Idaho, Kentucky, Mississippi, Montana, Nevada, Tennessee and Utah. Mama Biscuits are already sold in Sam’s Club stores in Maryland and Virginia, as well as Delaware, Pennsylvania, West Virginia, North Carolina, South Carolina, Tennessee and New Jersey. Mama Biscuits currently has 15 full-time employees at its 7,700-square-foot baking facility in Frederick. Mama Biscuits will sell two flavors in Walmart stores: Cinnamon Vanilla Cream and Blueberry Lemon Cream. Her deal with Walmart may eventually expand to other Walmart locations. In 2013, Walmart pledged to purchase $250 billion in products from local small businesses and entrepreneurs through its open-call events. Mama Biscuits joins several other D.C.-area companies to win a place on Walmart shelves. Hyattsville, Maryland-based Sweet Potato Cake, whose cakes and cupcakes are already sold in retailers including Starbucks, Safeway and Wegmans and which opened its first retail store in Baltimore last month has a deal selling its products in 250 Walmart stores. D.C.-based Cakelove, founded by local baker Warren Brown, won a deal to sell its cake jars in up to 100 Walmart stores in the Washington region. In addition to Sam’s Club stores, Mama Biscuits is also carried in Washington-area Wegmans and Whole Foods, sold by Amazon and QVC and nationwide through its own website.